Dr Almuth McDowall from Birkbeck’s Department of Organizational Psychology reports on the recent international conference on policing education and training. On Wednesday 27 June 2018, Birkbeck hosted an International Symposium on Evidence-Based Policing. As most of us are aware, there are quantum shifts ahead in the UK policing training landscape. According to the Policing Education and Qualifications Framework (PEQF), going forward, there will be three graduate routes to entry as a Police Constable: a) an apprenticeship, b) graduate entry conversion, and c) policing degrees. This requires a fundamental rethinking of how we train police officers and what we can expect of them. What can the UK learn from other professions and contexts? This was the overall question guiding our symposium with around 70 delegates, including academics and policing practitioners, many of whom were international attendees. Professor Jennifer Brown, Co-Director of the Mannheim Centre for Criminology at London School of Economics and Political Science, opened proceedings to question if there is evidence that graduates will do a good job in law enforcement. The consensus is that research is lacking in this area, especially in the UK context, and there is an increasing need to better understand the value that ‘graduate readiness’ adds to policing on the streets. David Gamblin, Research Assistant at Birkbeck, presented research conducted as part of a Home Office Funded Innovation grant which was spearheaded by the Mayor’s Office for Policing in London (MOPAC) and led by Birkbeck’s Department of Organizational Psychology, Birkbeck’s Institute for Criminal Policy Research (ICPR), and University College London (UCL). This tracked participants from ‘Police Now’, a leadership training programme over time and also investigated their take on ‘Evidence-based Policing’. 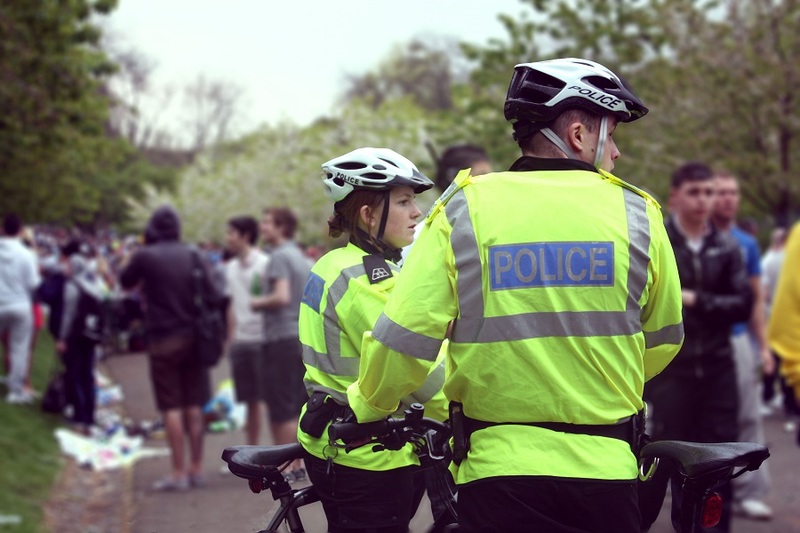 Findings show high motivation to make a real difference, the importance of the environment once ‘on the beat’, and highlights that direct effort to train in evidence-based approaches can be helpful, but effectiveness depends on how this is done. Tiggey May, Senior Research Fellow at ICPR, outlined qualitative research from the same project which shows that the environment in forces varies greatly and that there is a need to be clear about what can and cannot be expected from graduates in training. Dr Jyoti Belur, Senior Lecturer at UCL, outlined a stakeholder review to question the extent to which forces are ready for the changes in training, highlighting an all-round need for more education and guidance. Dr Cody Telep, Assistant Professor at Arizona State University, built on these themes by outlining his own programme of research which focused on police receptivity to research. His findings show, perhaps not surprisingly, that there is a real difference between ‘chiefs’ and ‘officers’, especially as more senior officers have a higher chance of being exposed to evidence and being willing to conduct research. Dr Norma O’Flynn from the Royal College of Physicians presented data from the medical context, noting that more access to evidence means more drug prescriptions. A key question is whether this is always in the interest of the patients. Her presentation also highlighted that one needs to be clear on the purpose of evidence – is improvement in quality, rather than quantity, of care, not a key objective? Dr Karen Lumsden, Associate Professor at the University of Leicester, continued with the evidence-based theme, also using qualitative approaches to understand evidence-based policing. She highlighted the importance of context as a driver and the strong influence of the (policing) performance culture. Finally, an interactive world café got everyone off their seats to work together towards solutions. All agreed that graduates have the potential to bring critical thinking, a desire to question, and upscaling of skills to policing – if these qualities are actually utilised. This depends on the culture, protecting learning time, good partnership between forces and education providers, and how policing is actually taught. Forces need to be transparent, to co-design and co-deliver training, and to promote the right kinds of skills and knowledge. Academics also need to do their bit by fostering innovation, combining rigour with realism and drawing on best practice research. Delegates told us how much they had valued the event; in particular, they stressed that we got the balance right between critical dialogue and not ‘losing’ the practitioners with an overly academic take – “Great event full of insightful resources – thank you!” was a resounding comment. We hope to draw this learning into a publication, so please so stay in touch if you would like to know more about our activities. A Special Issue of Policing: A Journal of Policy and Practice is underway for 2019. Read Extending the Remit of Evidence-Based Policing. Category: Business Economics and Informatics Tags: organizational psychology, police, policy by Louisa.